Wagyu short ribs (aka Kobe beef short ribs) are an affordable, meaty and well marbled cut high in collagen. When braised, this collagen (along with the marbled fat and gelatin from the bones) melts into the braising liquid, resulting in incredibly tender meat and a rich sauce. Some people prefer the bone-in cut because they believe the bones offer additional flavor, help stabilize the meat during cooking so it doesn’t fall apart, and offer a more interesting look on the plate. Others feel that Kobe boneless short ribs are easier to eat, although the bones can be easily removed from this cut after cooking for a similar result. 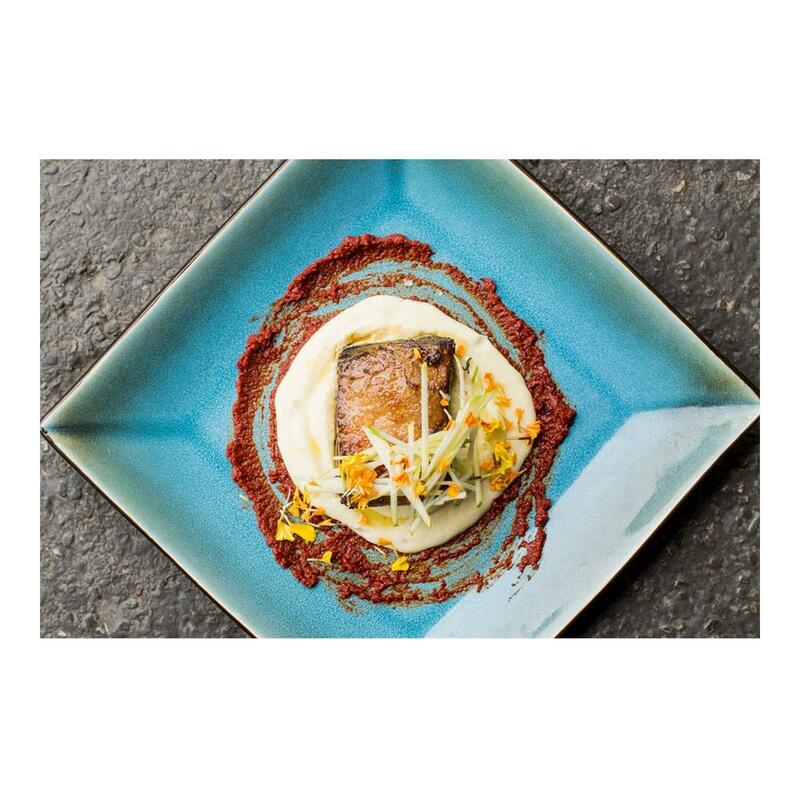 This wagyu beef (commonly known as "Kobe beef", aka Kobe-style beef or American Kobe beef) is from domestic Waygu (meaning "Beef of Japan") cattle that are descendants from Japanese herds and raised in the United States. Their intricately marbled beef is legendary and the result of careful breeding and a highly regimented diet. That marbling creates beef that is the most tender, juicy, and flavorful available. 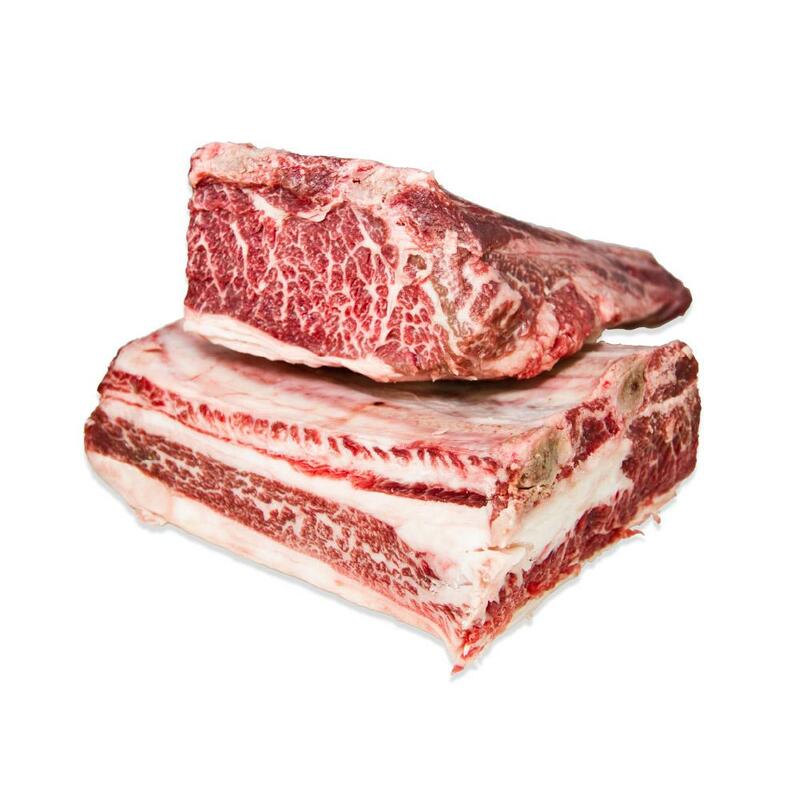 Fresh wagyu short ribs should be kept in a sealed container on the bottom shelf of your refrigerator or frozen for long term storage. Kobe short ribs are generally best braised, however bone-in short ribs can be slow-roasted for a different flavor and texture. Braising liquid ingredients can range from Asian-influenced flavors like soy sauce, ginger, scallions, and sesame oil to American BBQ style sauces or traditional broth or stock based stews.